This song is one of the least musically complicated of all the Mayrhofer settings. The poet himself did not think enough of this text to include it in the slim volume of his poems privately printed in 1824; it does feature, however, in the posthumous volume edited by Feuchtersleben in 1843. 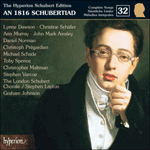 At the end of 1816 the greatest Mayrhofer songs were still to come as far as Schubert was concerned. 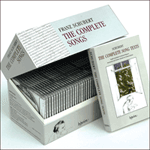 He had already set nine of the poems to music, but he had not yet embarked upon the sequence of poems inspired by the Greek classics that stand at the centre of the Schubert/Mayrhofer collaboration. 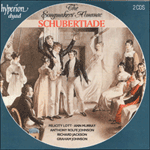 It is there that we find the great Mayrhofer songs, and although the composer had known the poet since 1814 it took some time for Schubert (younger by ten years) to understand what was new and extraordinary about his friend’s work. This song implies a social side of the poet which, in terms of his day-to-day behaviour, became less and less usual as the years went on. Someone less likely to join in a light-hearted sing-song could not be imagined and, if he were to do so, there would be something lugubrious about his vocal contribution. When we look deeper into the text this mood is exactly what we find: instead of real merrymaking we find that type of escapist philosophy that is the result of too much introspection when the singer is in his cups. Although the song appears in Breitkopf and Peters as a solo, the first draft of the manuscript seems to have been headed ‘Chor’, as if Schubert had at first envisaged the work as a chorus. As this does not appear in a later copy the performance recorded here is a compromise between the two ideas: part of the strophe is presented as a solo for baritone, part as a chorus. There are tiny differences between the piano interludes in Peters and Breitkopf, particularly in the tessitura of the piano writing at the end of the strophe. In the heady spirit of punch-drunk party improvisation I have taken the liberty of including features from both versions, although this would scarcely be noticeable to anyone without scouring the two scores. Und die Seele ist beglückt. Keiner will der Letzte sein. and my soul is enraptured. towards the high sea of peace. no one wants to be the last.